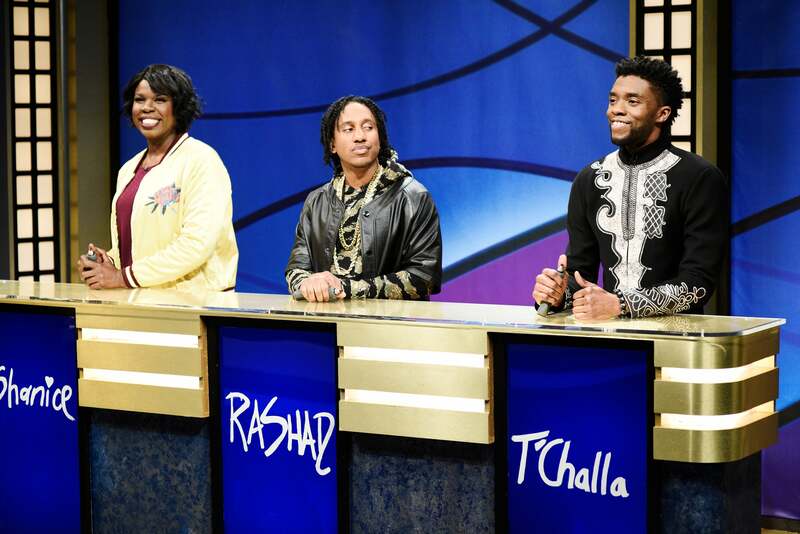 T’Challa maybe the king of Wakanda, but he is definitely not the king of Black Jeopardy! Chadwick Boseman brought his Black Panther character to life during his hosting duties on Saturday Night Live last night. He took part in SNL’s hilarious recurring skit “Black Jeopardy,” but it seems the leader of the isolationist nation struggled with basic knowledge of black culture. Boseman hosted the show as the blockbuster Black Panther surpassed Titanic as the the third top-grossing title of all time at the North American box office, the Hollywood Reporter says. At one point in the “Black Jeopady” skit, he was asked what one should do if a police officer comes asking for more information following a string of robberies.